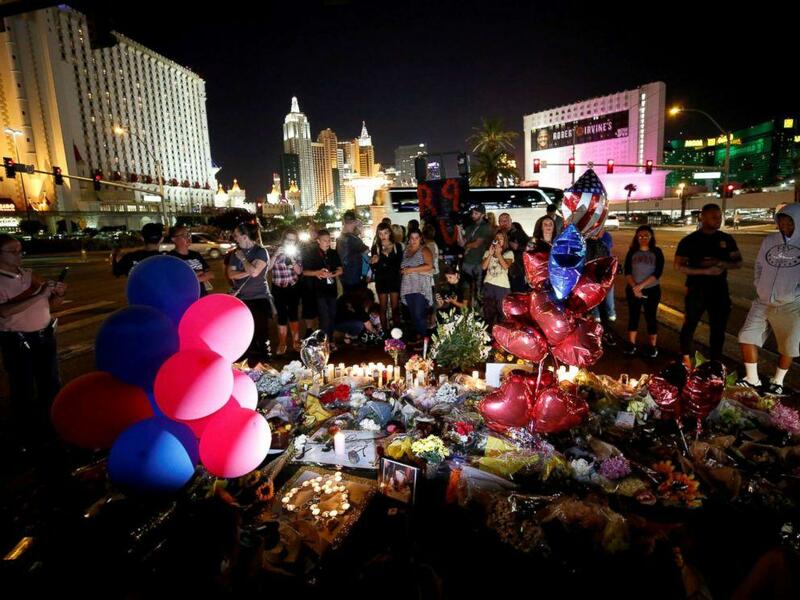 Late September marks the change of the season, but for many Las Vegans it will always mean the approach of a fateful day that saw the community challenged by unspeakable evil on October 1, 2017. Faced with the largest mass shooting in the nation’s history, the nation’s party capital was knocked down. But even overwhelmed by grief we almost immediately began to get up again and carry on. Almost a year later, many wounds are still healing. The awful reality is, other wounds cannot be mended. There are 58 lives lost, hundreds of physical injuries, and a level of trauma that’s difficult to quantify. But Las Vegas, I believe, emerged from this staggering tragedy a stronger place. Vegas Strong, as the saying goes. It’s more than a clever credo. It’s a call to this valley filled to the brim with great diversity to stand together and to move forward. As the valley soldiers on, there are many opportunities to pay tribute to the lives lost and marred by violence. There are programs and vigils, museum displays and a portrait gallery at the Clark County Government Center. There’s no shortage of chances to reflect and to shout thanks to the first responders and regular citizens who risked their own lives to save others. I hope you get an opportunity to pause long enough to pay your own tribute, in any way you deem fit, to the lives lost and changed forever. The day will begin with a sunrise remembrance at the government center amphitheater at 500 South Grand Central Parkway downtown. Representatives of the police department, county fire department and the Vegas Strong Resiliency Center will play host to the event, which will include singers, speakers and 58 seconds of silence. While you’re there, check out the stunning Las Vegas Portraits Project Exhibit in the government center rotunda. The paintings of the victims are as inspiring as they are heart-breaking. The “How We Mourned” exhibit at the Clark County Museum at 1830 South Boulder Highway provides a moving reminder of the outpouring of grief, sorrow and support locals and visitors from all over the world heaped upon the concert site in the days and weeks following the shooting. It also reminds visitors that those many thousands of mementos and tributes are being catalogued and well cared for at the museum. A remembrance sponsored by the Mayor’s Faith Initiative will welcome all faiths to its event at Las Vegas City Hall Oscar’s Plaza at 495 S. Main Street. Set to begin at 11:30 a.m., the event will include music, prayers, speakers and a message of healing and hope. There are tribute concerts and oral history gatherings, children’s programs and first-responder specials at local car washes and service stations. In short, the community that is moving forward is taking time to pay its respects. Perhaps nothing speaks to the community’s collective strength like the decision to include the #VEGASSTRONGER community meal in honor of the victims and first responders and in service to some of the valley’s most needy residents. It’s set to begin at 9 a.m. Friday at the Catholic Charities’ St. Vincent Lied Dining Facility at 1501 N. Las Vegas Boulevard. Inside, some of the poorest members of the community are treated with dignity, respect and a restaurant-style meal. A meal, a remembrance, a concert, a prayer. And time for reflection. LAs Vegas carries on. Yes, and getting a little stronger every day.